A Democrat State Senator finally resigned his seat in the Texas Legislature following 11 federal convictions for fraud and bribery. The Senator delayed his resignation until days before a sentencing hearing where he could face decades in prison. The “important issues” are 11 federal felony convictions handed down by a court in the Western District of Texas on February 22, Breitbart Texas reported. Immediately after the conviction, leaders on both sides of the aisle called for the embattled state senator to resign. Lt. Governor Dan Patrick (R), who presides over the Texas Senate, quickly removed Uresti from all committee assignments. After Uresti refused resign, pressure from Texas Democrats continued to mount. In his resignation letter, the now former state senator asked Governor Greg Abbott to schedule a special election to coincide with the November 2018 General Election in order to save his district’s voters the cost of a separate election dates, the Texas Tribune reported. Texas State Representative Roland Gutierrez and former U.S. Representative Pete Gallego already announced their intention to file for the special election to replace Uresti. Shortly after Uresti announced his resignation on Monday, Gutierrez sent out a fundraising email stating “one of the saddest, most embarrassing stories of Texas politics finally comes to an end,” the Texas Tribune stated. 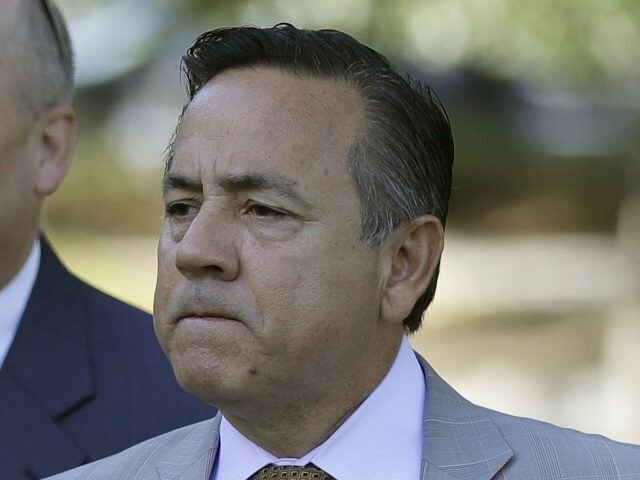 While Uresti faces up to 20 years in prison on each of the wire fraud convictions and 10 years for the money laundering convictions–the Texas Tribune reported sentencing experts’ opinions that the senator might only face eight to 12 years in federal prison. Senate District 19 covers 17 counties stretching from San Antonio through the Big Bend region and on to the New Mexico line.